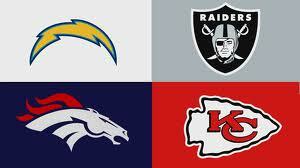 Today we look at the AFC West. Sylvester Williams should be able to step in day one and start at defensive tackle. He only played one year of high school football and worked at a radiator factory before going to junior college. He excelled once he transferred to North Carolina. He is a good fit as a defensive tackle in a 4-3 scheme. Williams is a quick, one gap player with good strength and the ability to beat double teams. He is explosive off the line, moves well for a guy his size and has a good a variety of pass rush moves. The knock on him has been his consistency. Montee Ball is another player with a chance to contribute right away, possibly even start. Ronnie Hillman should remain as a 3rd down back, but Ball may be better than what they already have in Willis McGahee and Knowshow Moreno. Ball scored 83 touchdowns in his career in Wisconsin which is an all-time NCAA record. He has good power and is shiftier than you would think for a 215 lb. back. Ball does better when he can get his shoulders square to the line of scrimmage, but he can also bounce it to the outside. I didn’t have Kayvon Webster rated quite this high, but there must be something that the Broncos saw in him. He ran a 4.41 40 yard dash at the combine and he stays nice and low in his backpedal. Webster won’t likely threaten for a starting job right away, but he should give the Broncos good depth in the secondary. Quanterus Smith was a very productive player for Western Kentucky. He was a 1st team All-Sun Belt selection in 2011 and Sun Belt Defensive Player of the Year in 2012. Smith led the conference with 12.5 sacks in 2012 and was second with 6.5 in 2011. He has good length, long arms and understands pass rushing techniques. After losing Elvis Dumervil to the Ravens in Faxgate, I can see Smith initially used on passing downs to put pressure on opposing quarterbacks. Tavarres King was a big-play receiver for Georgia, but he lacks consistency. King would deliver big at times then seemed to disappear. Peyton is very good at working with young receivers and if he can get King to step up his game, he could be a productive receiver for the Broncos. Zac Dysert is a quarterback that some people were really high on. Dysert broke some of Big Ben’s school records and he was the most productive player in the Senior Bowl. He will start out behind Manning and Brock Osweiler. Dysert is another player that could benefit from the guidance of Peyton Manning. If you are a young QB, there isn’t a better player to teach you how to be a pro than Manning. I had Eric Fisher as my top offensive tackle since seeing him at the Senior Bowl. After several weeks as the #2 tackle in most draft rankings, Fisher made a late push and became the #1 overall selection for the 2013 draft. The Chiefs still have Brandon Albert on the roster and it appears they may keep him at least one more year. If they keep Albert, they could continue to start him on the left side and allow Fisher to begin his career on the right side. Fisher has played both sides, so he should be comfortable playing on the right and it would allow him begin his pro career at an easier position before being thrown into the fire protecting the quarterback’s blind side. Fisher is a technician in pass blocking and I see him as a perennial All Pro tackle. The Chiefs didn’t have another pick until the 3rd round and picked up Travis Kelce who may have been the best overall tight end in the draft. Kelce is an aggressive blocker that can line up in the slot or on the line of scrimmage. He is a big, tough receiver that is tough to bring down after the catch. Kelce has good hands, very good concentration and has the ability to catch the ball in a crowd. Kelce starts off behind the often injured Tony Moeaki and Anthony Fasano, so he should get some time on the field this year, even if it is in multiple tight end packages. Knile Davis is an interesting draft pick. Davis led the SEC in rushing in 2010, but missed the entire 2011 season with a broken ankle. He returned in 2012, but was not the same player, rushing for only 377 yards and averaging 3.37 yards per carry. Davis is a height (5’ 10”), weight (227 lbs. ), speed (4.37 40) specimen but he also has a tendency to fumble. If Davis can stay healthy and protect the ball, he would be a great complement to Jamaal Charles. Nico Johnson is a run stuffing inside linebacker. He is limited in pass coverage, but he wraps up well and tackles well in space. He will fill the hole and take on the ball carrier head on. Johnson will be the backup to Derrick Johnson and Akeem Jordan. Sanders Commings played corner and safety for the Bulldogs. I like him better as a safety, but the Chiefs appear to be trying him at corner. He has elite size for a corner (6’2” and 217 lbs. ), but I’m not sure he is great at man coverage. Regardless, Commings should give them a versatile player that can do a lot of things in the Chiefs’ defensive scheme. I have not seen Eric Kush, but the Chiefs like his feet, size and toughness. He has also played left tackle, so he gives them a lot of versatility. Braden Wilson is a tough, hard-nosed player that is a very good lead blocker. When he is asked to, he can also run the ball in short yardage situations and can catch the ball on swing passes out of the backfield. Mike Catapano is a high motor player that was the 2011 Ivy League Defensive Player of the Year. He has good movement skills and pursues the ball very well. If he can’t get to the passer, he does a good job getting his hands into passing lanes. I believe the Chiefs did a good job of adding young talent and would not be surprised if this team made the playoffs. D.J. Hayden is one of the feel good stories of the draft. In November, he almost died on a practice field in Houston. After making contact with his teammate, he ruptured the inferior vena cava in his heart which is a fatal injury 95% of the time. Due to some quick thinking by team doctors, he was rushed to the hospital, had emergency heart surgery and miraculously, the doctors were able to save him. Due to the injury, Hayden was unable to participate in any of the bowl games or the NFL Combine. In March, Hayden performed at the school’s pro day. Up to that point, he wasn’t even on the radar for the draft. Hayden, however, wowed scouts by running a 4.33 40-yard dash and caused scouts everywhere to rush to get Houston game tape. A late push put Hayden into several draft analysts’ top 5 and was the top corner according to Mike Mayock. The Raiders traded back from the 3rd pick of the draft to the 12th pick and selected Hayden. He should be a starter day one and will bring speed and athleticism to the Raiders secondary. Hayden breaks on the ball very well and has excellent ball skills which should help to increase their total of only 11 interceptions from 2012. Menelik Watson is an extremely athletic tackle with only 3 years of football experience and only 1 at the Division 1 level. He is very raw, but moves very well and could end up being an excellent NFL tackle. Watson likely will not start right away, but if the Raiders can coach him up, I could see him starting as early as next year. Sio Moore was an extremely productive player for UConn. He made a name for himself by playing well in the East-West Shrine Game then was a late addition to the Senior Bowl and played well there also. Moore is good at the point of attack and flies to the ball. Nick Roach is penciled in as the starter on the strong side, but don’t be surprised if Moore doesn’t push him for the job. Tyler Wilson had a very good junior year in 2011. In 2012, the Razorbacks team fell apart. They lost three NFL-caliber receivers, their head coach and offensive coordinator. The entire team played poorly, Wilson took a beating and his game suffered. Wilson has the talent to make it at this level and if the Raiders can get good play from Matt Flynn, Wilson could develop into a very good quarterback. Hopefully the Raiders will not be forced to throw Wilson into the fire early and allow him to be coached into the player that he has the potential to become. Nick Kasa is a former defensive end that has only one year of starting experience at tight end. He is strong and has above average speed. Kasa is very raw and right now is a better blocker than receiver. Latavius Murray is a big, physical running back. He has a north-south running style and likes to pound away at the defense. Murray has good hands and can help out in the passing game. Darren McFadden is the starter, but has a history of getting injured. I would expect Murray to get some carries this year for the Raiders. Mychal Rivera is a dependable pass catching tight end. He runs good routes and has strong hands. Rivera does a good job extending his hands to make the catch and does not allow the ball to get in to his body. Rivera is a willing blocker, but needs to work on that aspect of his game. He is versatile and can line up anywhere, including at fullback. The Raiders needed talent on the defensive line and they waited until the 6th round to address that area. Lamarr Houston is the only NFL-caliber player left on their D-line. Stacy McGee slipped to the 6th round due to a lack of production and character issues. He was suspended from the team on three separate occasions. He has decent physical skills, but will need to mature and put his off-field issues behind him to make a contribution to this team. Brice Butler is a big, fast receiver that transferred to San Diego State from USC. Raiders receivers coach Ted Gilmore worked with him at USC and obviously saw something in him. Butler did not have great production at San Diego State, but his size and speed make him intriguing prospect worthy of a 7th round pick. David Bass showed well at the East-West Shrine Game. He showed good pass rushing skills. He is from a small school so he may not be ready to play right away. The Raiders needed bodies and they did a good job trading down, picking up additional picks, and making their roster younger. I still don’t know what the plan is for their defensive line though. Pat Sims, Vance Walker and Jason Hunter don’t exactly keep offensive coordinators up at night worrying. The Chargers needed an offensive tackle. The “big 3” were already off the board by the time the Chargers were able to draft. The team signed King Dunlap, a versatile lineman that can play many positions. He may end up as the left tackle. D.J. Fluker will likely be the starter on the right side. Fluker is a 335 lb. road grader that should immediately help the Chargers running game. Manti Te’o survived a slide into the 2nd round and ended up in a really good spot for him. The San Diego fan base is very laid back and will likely just let him focus on football, which is what he does best. San Diego is also the closest mainland city to Te’o’s native Hawaii and has a good sized Polynesian community. One of Te’o’s heroes is Junior Seau and I can see the San Diego community embracing him. Te’o should be a leader and standout player for the Chargers for many years. Keenan Allen tore his PCL in October and missed the last 3 games of the year. When the NFL Combine came around, the knee was still bothering him, so he was unable to work out. Allen had a pro day on April 9 and his 40 time was only in the 4.7 range which is not good for a wide receiver. My guess is the knee was still bothering him, because on tape he looks much faster than that. I’ve heard comparisons to Anquan Boldin and if he is that type of player, he should do well in San Diego. Steve Williams opened a few eyes at the Combine with his 4.37 40-yard dash. He doesn’t have great size, but he is extremely athletic and has a sudden change of direction. He is a scrappy player that can probably help out immediately in nickel packages. Tourek Williams is a game wrecker that gets after the quarterback. You gotta love a guy whose nickname is “The Werewolf”! He is quick off the ball and is a smart player that isn’t easily fooled. Williams was a defensive end in college but will be asked to play linebacker for the Chargers. Brad Sorensen is a small school player that transferred from BYU. I haven’t seen him play, but the book on him is that he has a strong arm and can throw darts. With Phillip Rivers and Charlie Whitehurst ahead of him, he should have some time to develop. This entry was posted on May 15, 2013 by draftmaniacs in Draft Analysis and tagged 2013 NFL Draft, 2013 NFLDraft, AFC West, Alabama football, D.J. Fluker, D.J. Hayden, Denver Broncos, Eric Fisher, Faxgate, Georgia football, Kansas City Chiefs, Mani Te'o, Montee Ball, NFL, NFL Draft, Notre Dame football, Oakland Raiders, San Diego Chargers, Sylvester Williams, Tyler Wilson.